We’ve all had our cavities filled before, but how do we explain that experience to kids? The concept of drilling into teeth and filling them with some weird substance is an invariably difficult idea to explain. On top of that, you have to phrase it in a way that’s not scary. That’s a lot of pressure! Parenting is hard, but we’ve got your back here at Epic Dentistry for Kids. Here’s our take on how to spill the beans about dental health in a fun and friendly manner to your kids! Dental fillings are used to restore and protect damaged or decayed teeth. They’re most commonly used for cavities, but they’re also effective for cracked or worn teeth. There are many types of material available to use for dental fillings, but the most popular are silver amalgam and white fillings. At Epic Dentistry for Kids, our team only uses white fillings because silver amalgam does not bond with the enamel or dentist well and requires more removal of the tooth structure. White composite fillings bond directly to the tooth and they can be custom colored to match the teeth for a natural appearance. If your child needs a filling, they probably already know that something is wrong with their tooth. Whether it’s a cavity or a crack, it’s probably painful and they don’t want it to be there. Let them know that a filling is like a band aid for their teeth and the procedure is only going to make them feel better. After their appointment, you can treat them to ice cream or popcorn, so they can see the difference between how it felt to eat these foods without a filling and with one. It tastes and feels way better with the filling! The unknown is always scary, so walk your child through the process before you head to the dentist’s office. Often times, a pediatric dentist will show your child exactly what’s going to happen before the procedure, too. At Epic Dentistry for Kids, we can show your child the exact tools that are going to be used to make the experience more familiar and comfortable. 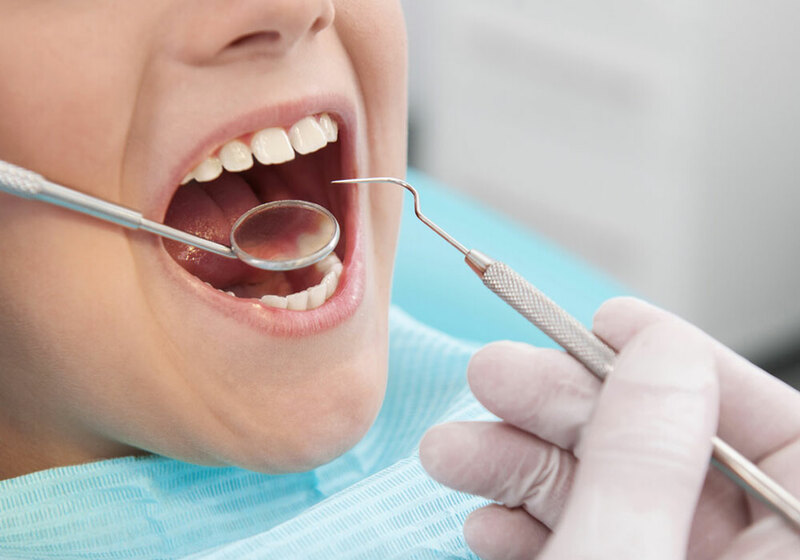 Local anesthetic: Most fillings don’t hurt regardless of whether a local anesthetic is used, but the pediatric dentist will place a numbing gel around the area anyway. Removal of infected area: The pediatric dentist will use a laser to remove any remaining infected or decayed tooth. Cleaning of the area: The bacteria must be removed, so there is no chance of further damage or infection. Tooth filling: The dentist will finally place the amalgam filling into the cavity to restore the functionality of the tooth and protect it from decay. Drying the filling: A special light is placed over the tooth to quickly dry the area. A great way to show your child what getting dental fillings are like is by reading positive books about the pediatric dentist. They’ll be able to relate to the characters and see a visual depiction of what’s to come. Using technical words can also be confusing and scary for children, so reading children’s books that use language they can understand may be more beneficial. You can also bring them to the dentist’s office with you if you need a filling. Since parents are role models, your child will learn how to behave during a procedure by watching you. Fillings should restore your teeth to their normal function, so they don’t need any extra care besides regular dental hygiene. If you know your child is prone to cavities, make sure to emphasize the importance of good dental care. Show them how to brush and floss correctly and establish a regular schedule for doing so. Most people, regardless of age, also need to see the dentist for a checkup and routine cleaning approximately every 6 months. The pediatric dentist can detect if your child is at risk of developing cavities, gum disease, or dental decay and provide preventative measures to curb that risk. What you eat also has a big impact on dental health. Children need a balanced diet to get adequate nutrients for healthy bones and teeth. Consuming too much sugar can have detrimental effects on the teeth. Bacteria feed off sugar and create enamel-eating acids that result in cavities. Limit your child’s sugar consumption to a reasonable amount and have them brush their teeth or rinse their mouths with water after enjoying treats. One preventative measure parents can take to reduce the risk of cavities for their child is dental sealants. A dental sealant is a thin, plastic coating painted over a child’s molars. It acts as a barrier between the teeth and cavities. Ask your pediatric dentist if it’s the right choice for your child! As much as you try to supervise your child’s dental habits, you can’t monitor them 24/7. They need to develop their own sense of responsibility for their dental health. At Epic Dentistry for Kids, we make dental education a major part of our practice. Motivating kids to take care of their teeth can be tough, but it’s also very rewarding!